Every month we have special menu! Today Nabeyaki Udon! Japanese Noodle in a heated pang. Some vegitables and chicken are in it! And ICECREAM as a desert! We also have request menu! We are proudly able to say that our lunch is the best! 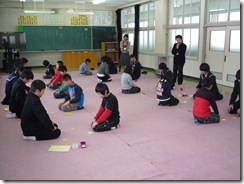 Hyakunin Isshu with elementary kids! 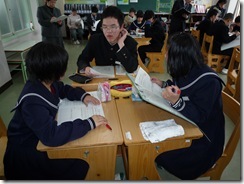 Today 10 elementary school kids, who are going to join us coming spring, visited us to play Hyakunin Issyu, the Japanese card game. Some elementry kids got more than our freshmen. We cannot wait for their coming! 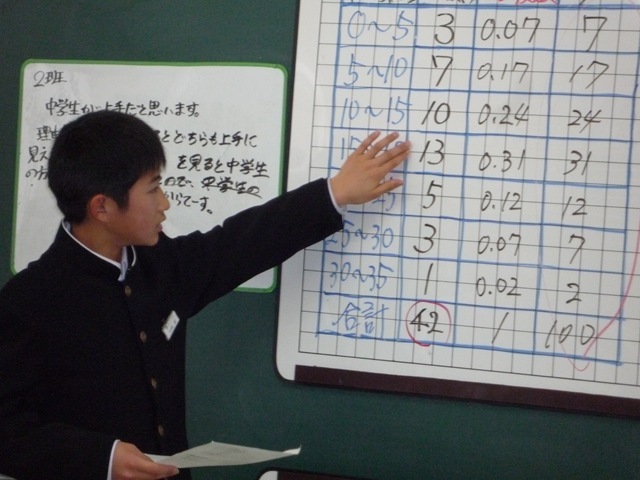 Miss Hashimoto, social studies, made a history class about Northern Territory of Japan. 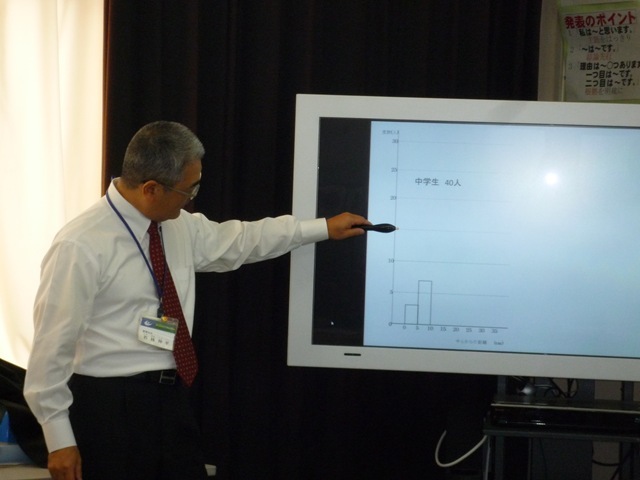 The topic was "How we should solve the problem of Northern Territory with Russia." The 3rd grade students discussed their ideas and thought about the problem. 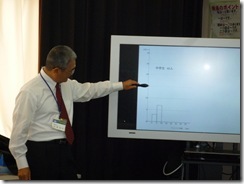 Mr. Wakabayashi, math, presented a demo class of the statistics in the 1sr grade using an electronic blackboard.